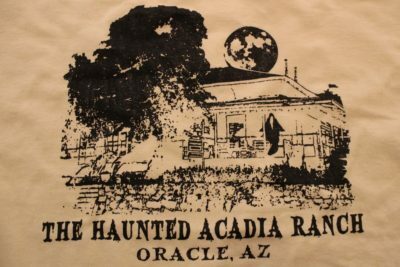 Is there something strange at the Acadia Ranch Museum in Oracle? Want to know more about the paranormal? A free lecture on the paranormal will be held at the Acadia Ranch Museum on Saturday, April 13, from 5:30 – 6:30 p.m. It is being hosted by the Tucson Ghost Company, LLC and the Oracle Historical Society. The lecture will be followed by two ghost hunts guided by the Tucson Ghost Society. The first tour is from 9 pm to 11 pm. Cost is $25. It is limited to 20 people. A VIP Tour (limited to 5 people) will follow from 11:30 p.m. to 1:30 a.m. Some of the proceeds will go to the Oracle Historical Society in support of the Acadia Ranch Museum. Tucson Ghost Society is a paranormal team that offers tours of haunted locations in Tucson and other parts of Arizona. They use DVRs, recorders, EMF readers and more to find the cause of a client’s paranormal concerns. They base their findings on evidence based on scientific thinking. They do not charge clients for investigating their paranormal issues. 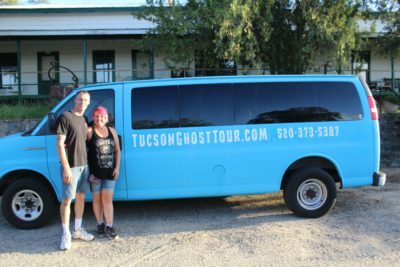 Will and Becky Gydessen are the owners and operators of Tucson Ghost Hunters. Tucson Ghost Hunters operates Tucson Ghost Tour, a walking tour of Downtown Tucson; Tucson Ghost Experience a ghost hunting experience at La Cocina; and Tucson Haunts, a driving tour of haunted locations in Tucson. Becky and Will are also radio personalities. They have a regular radio show, Mysteries Explained, where they talk about the paranormal, horror and much more. They have a special guest every week. The show is weekly on Tuesday evenings at 9 p.m. Eastern Standard Time. 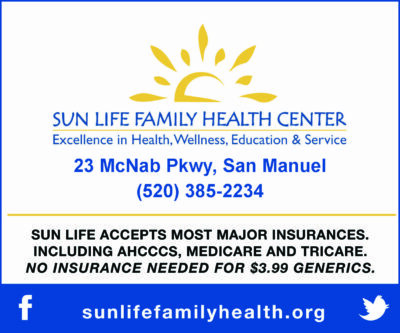 Every fourth Tuesday, call ins are welcome and the callers choose the subject. The show can be heard on spreaker at spreaker.com/user/tucsonghostcompany. You can learn more about Tucson Ghost Company at tucsonghosttour.com or follow them on Facebook.